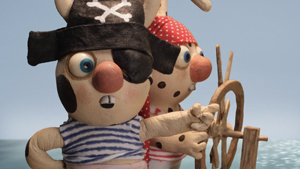 Spot and Splodge are pirates today. The start up a long sailing tour. It´s a bit dull. A co-production with Film i Väst & SVT and with support from SFI, film commissioner Johan Bogaeus and NFTF. Developed with the support of the MEDIA programme of the European community.